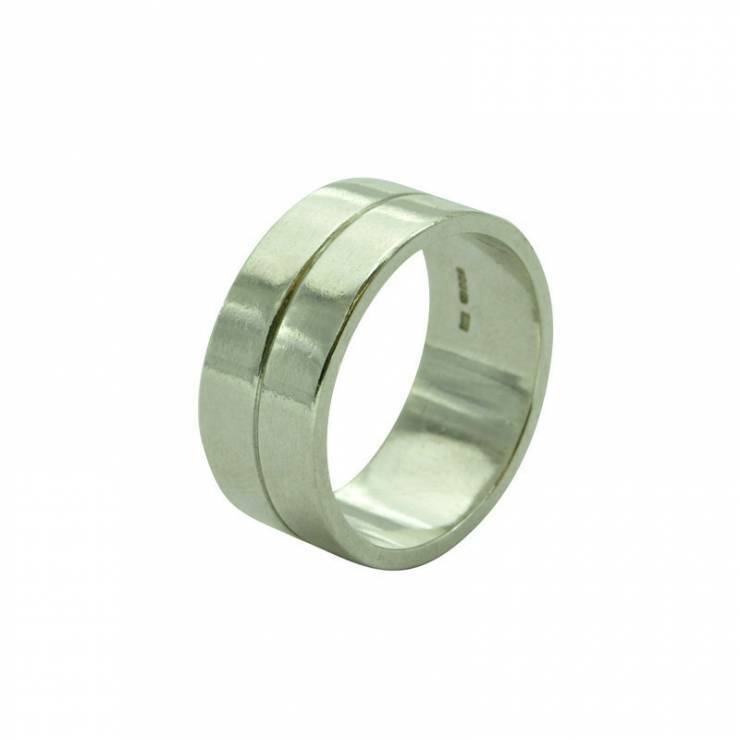 This is a simple, adjustable ring for a man or a woman. It can be worn for everyday wear and would be ideal for a wedding band. 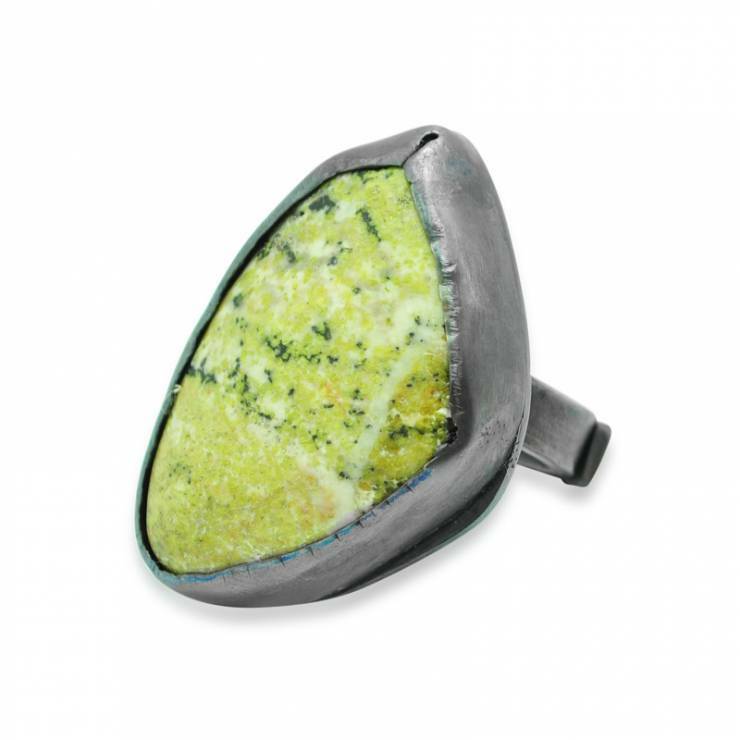 This chunky silver ring has been oxidised to create this dark effect. 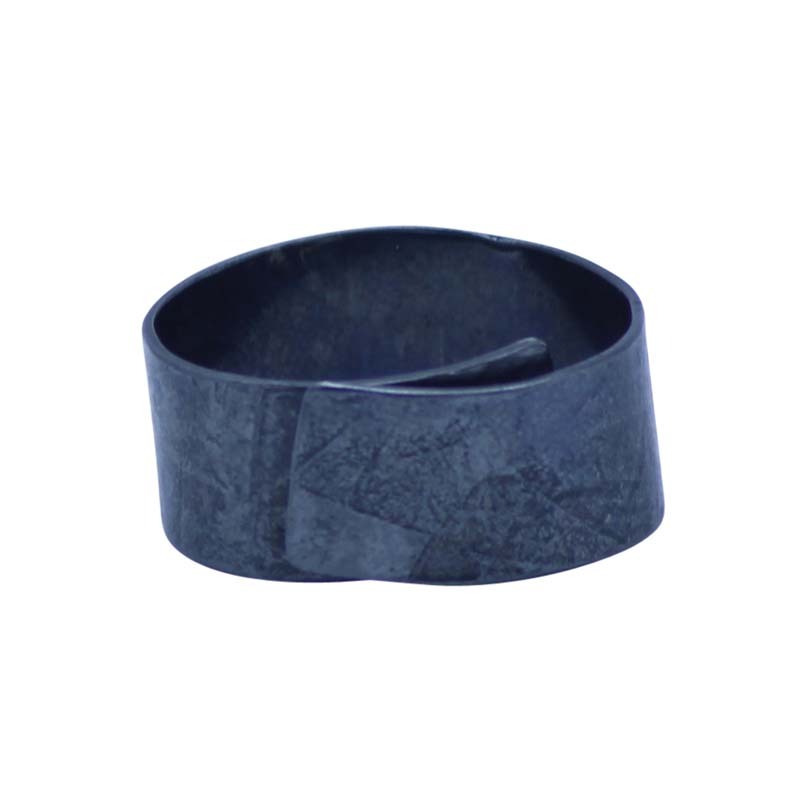 It has rollered paper detail on the surface which creates an unusual texture. It has been put in the barrel tumbler to create the polished effect which puts a coating and protects the oxidised detail. 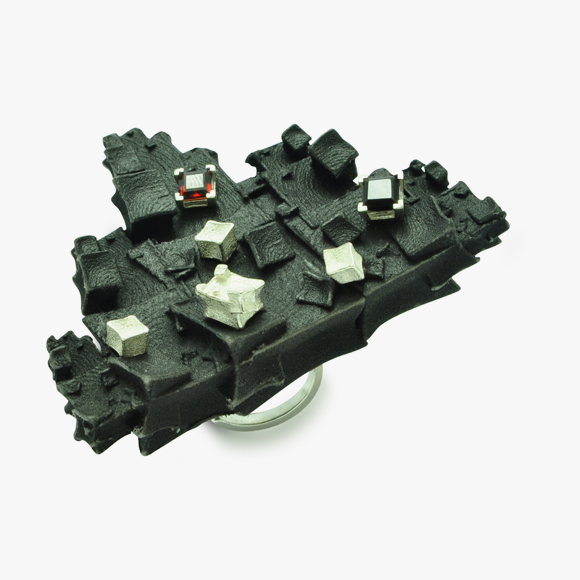 Over time, during wear, the oxidised detail will fade which will make the piece return to silver. It’s possible to re oxidise the piece for you. 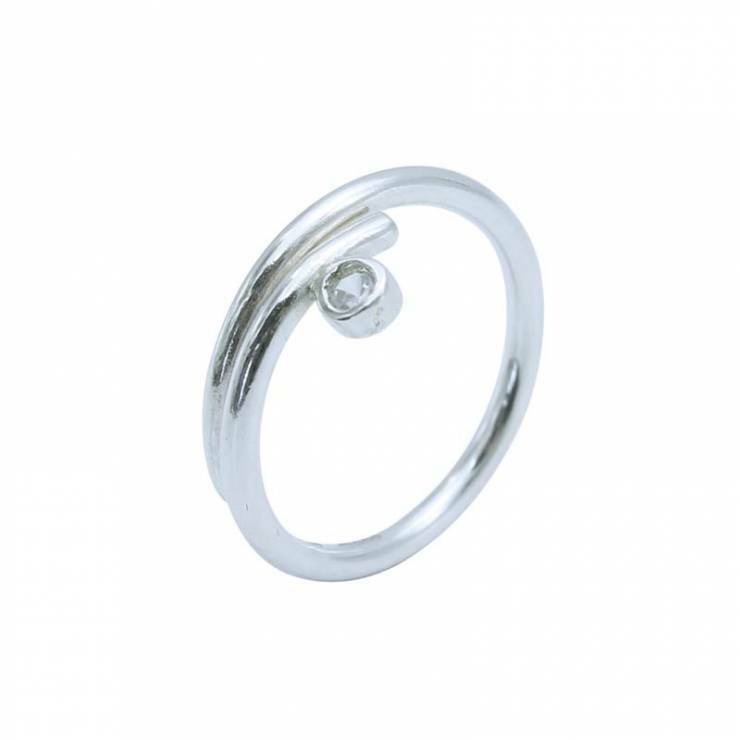 The ring is 1cm wide and is an adjustable band. Approximate size is T which can extend up to W.